Present this Deluxe Happy Birthday Gift Set to the people you love and paint a happy picture in their hearts. 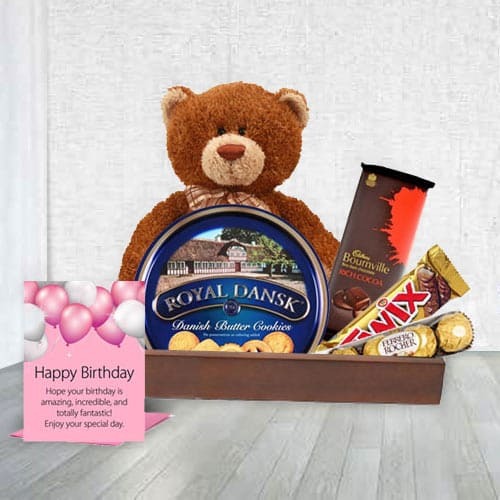 This wonderful and captivating Birthday Gift Basket comes with Brown Teddy, Cadbury Bournville, Danish Butter Cookies, Ferrero Rocher-4pcs, Twix and birthday card. These are brought to you in a Wooden Tray.